i watched the biggest loser. and made a batch of rice crispy treats. p.s. that was the very last box from this experience. I like your kind of homework. Sounds fun! And rice crispie treats sound pretty delicious right now. Trying to use up your 12 boxes of Rice Crspies???? Oh, yea, that was me. I am down to one box, though. I watched TBL too. Kind of an emotional tonight. Did you get your homework done? 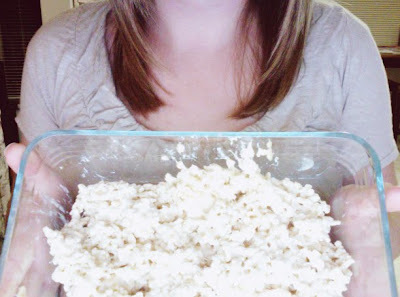 yummmm homemade rice crispie treats are the best. i like them when they are still warm and aren't shaped yet! YUM!! I think I will go make some now! that is the greatest way to watch biggest loser...haha!